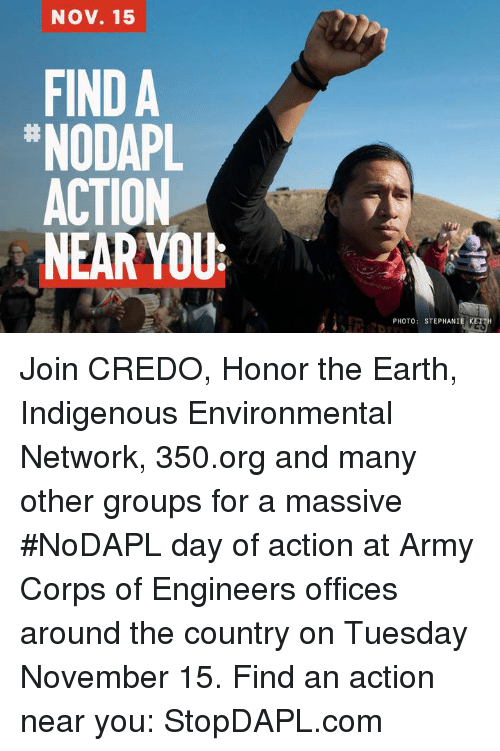 350 and IEN, both of whom are funded by Dakota Access Pipeline investor Warren Buffett, issued a joint statement on DAPL February 7. Tides Foundation, a money laundry for tar sands investors and oil industry magnates such as Buffett, is used to corrupt NGOs such as 350 and Indigenous Environmental Network. While they are allowed to oppose pipelines in order to maintain credibility as so-called “water protectors,” they are noted for maintaining silence about their benefactor’s investments in pipelines and bomb trains.